STEWART, ALEXANDER, lawyer, politician, and judge; b. 30 Jan. 1794 in Halifax, N.S., eldest of three children of James Stewart and Elizabeth Bremner; m. 26 June 1816 at Halifax Sarah Morse (d. February 1893), and they had seven children; d. 1 Jan. 1865 in Halifax. Alexander Stewart’s father died when the boy was only five years old. Although there is some suggestion that the family was in needy circumstances, Stewart was able to attend the Halifax Grammar School. He served briefly as a clerk in the Ordnance Department before entering the commission and auction business of John Moody, in which he became a partner in November 1814 at age 20. After only a year and a half with Moody Stewart had acquired the wherewithal to undertake a legal apprenticeship, first in Halifax, and later in Amherst in the office of his brother-in-law, James Shannon Morse. When Moody’s firm failed in 1817, he became liable for its debts through not having taken the proper steps to make known his severance, and was compelled to surrender everything he possessed. Nonetheless, he was able to finish his legal training, becoming an attorney on 14 July 1821 and a barrister in 1822. Opening an office at Amherst with barely “tenpence in [his] pocket,” he quickly established a flourishing practice in Cumberland County and in neighbouring Westmorland County, N.B. In 1834 he moved to Halifax and entered into partnership with his brother James. Stewart’s political career had begun in 1826 when he was elected to the assembly for Cumberland; he was re-elected in 1830. He soon established a reputation as a liberal in the assembly. During the late 1820s he insisted that the British government surrender without compensation its right to collect quitrents. He also advocated the removal of disabilities suffered by the province’s Roman Catholics and supported strong financial aid for common schools. He demanded, furthermore, that full responsibility for the custom house establishment be transferred to the assembly. After the Brandy Election of 1830, he took the lead in resisting the council’s attempt to assume powers in dealing with money bills that the House of Lords had abandoned and winning the council’s acceptance of the additional tax on brandy [see Enos Collins*]. On 27 March 1833 Stewart prepared an address to the crown calling for the transfer of all its casual and territorial revenues to the assembly, in return for a guaranteed and adequate civil list. In 1834 Stewart condemned the multifarious duties of the council and initiated resolutions calling for its reform: he wanted the deliberations of the council opened to the public; he argued strongly that two councils should be created to separate the legislative and judicial functions; and he wanted councillors to be selected from the province generally, rather than exclusively from Halifax. Strongly in favour of the liberalization of trade, he presented the assembly’s case for the establishment of free ports in the province to the British government in the summer of 1834, and won accolades from Nova Scotians for his efforts. The Whiggish Stewart was becoming uneasy, however, about the beginnings of the popular movement for reform. 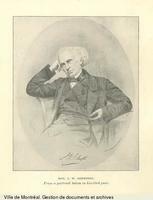 In November 1834 he reacted strongly against the formation of a political union in Cumberland County, designed to “instruct [the people] how to bring their wishes, and their opinions, to bear upon their rulers.” In December all Stewart’s pent-up resentment burst into the open when in the pages of the Novascotian Joseph Howe* opposed Stewart’s proposal for the commutation of quitrents in return for an annual grant of £2,000 by the province towards the lieutenant governor’s salary. Stewart told the assembly that no matter what it did it would be “inconsiderately attacked by its natural protectors and supporters,” the press, and that its constituents, “the madmen,” would heap contumely upon it. Howe’s reply was that if the assemblymen were degraded, the causes were to be found not in the misrepresentations of the press or in the madness of the people but “in their own acts and sentiments.” Despite this exchange, Stewart was among the first to congratulate Howe for his “splendid defence” against a charge of libel in March 1835. In the elections for the assembly in 1836 Stewart was opposed by Gaius Lewis and Andrew McKim, who advocated reforms such as an elective council that were anathema to him. He won the second seat in Cumberland by such a narrow margin that he had to face a controverted election trial which was not decided during the session of 1837 and which he ultimately lost in February 1838 to McKim. In the interim, Stewart found his position altogether uncongenial in an assembly that contained Howe and a majority of members anxious to carry reform to a point he considered undesirable. The Whiggish liberalism that had made him a leader in one assembly had become anachronistic in the next. In the divisions on Howe’s twelve resolutions in 1837 he was generally in opposition, especially on the question of an elective council, expressing his abhorrence at the introduction of anything that savoured of American republicanism, and declaring his determination to adhere to the British model. Stewart decided not to remain in a house in which he had lost his standing and the retention of his own seat was uncertain, despite Howe’s hope that the assembly would continue to have the benefit of his powerful mind “whether he stands beside me, or fights in the ranks of the opposition.” Stewart probably greeted his own appointment to the newly established Legislative Council on 16 Jan. 1838 with relief. Surprisingly, in the face of the scorn of the Tories and the criticism of Reformers like Huntington, Howe joined Stewart in the coalition government arranged by Lord Sydenham [Thomson*] and formed in October 1840 by the new governor, Lord Falkland [Cary*]. Howe’s Reform colleagues proved to be right, for Stewart did more than anyone to destroy the coalition. In 1841, even as Howe was rejoicing in the assembly in the substantial advance towards full responsibility under the coalition, Stewart was informing the Legislative Council that “Responsible Government, in a Colony, was responsible nonsense, – it was independence.” These differences were patched up without damage to the administration; more serious was Stewart’s statement to the Legislative Council in 1843 that, according to “the true principle of Colonial Government,” the governor was responsible for the acts of his government to the queen, and his executive councillors were responsible to him. “Any other responsibility,” he said, was “inconsistent with the relation of a colony to the Mother Country.” The coalition ministry proceeded to hammer out a compromise initiated by E. M. Dodd* and acceptable to all its members, which declared that the council was responsible to both the governor and the assembly. From now on, however, the ministry barely staggered along. Meanwhile Stewart had dealt the coalition another blow. Late in 1842, when the differences between Howe and James William Johnston* on the granting of aid to denominational colleges had come into the open, Stewart allegedly urged James Boyle Uniacke*, a Reformer but one-time Tory, to “embark in the same boat with himself and Mr. Johnston, form a junction between the Tories and Baptists . . . and throw Howe overboard.” Because Stewart made no public denial until February 1844, the story circulated widely throughout 1843, reinforcing the general belief that the executive councillors were lacking in good faith towards one another. Hence there was no surprise when the coalition collapsed in December 1843. 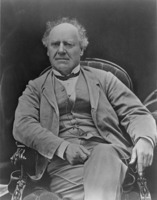 Stewart remained in Johnston’s succeeding Tory administration until early June 1846, when he was sworn in as the fourth and last master of the rolls and as judge of the Court of Vice-Admiralty. About a year earlier, on the initiative of Falkland, he had become a qc. 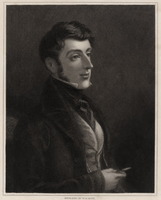 As master of the rolls, Stewart undertook what his two predecessors had failed to do, using his powers under an act of 1833 to simplify the procedures of the Court of Chancery. The result was to eliminate a heavy backlog of cases and inordinate delays, but it was beyond Stewart’s legal powers to deal effectively with the heavy fees and costs of the court. It was only natural, when the Reformers came into office in 1848, that they would act against what they had long described as “the abominable, heart-breaking, pocket-picking system” of the Court of Chancery. Clearly some of them were also determined to settle old scores with Stewart. It was not until 1855, however, that they managed to have the court abolished and its equity jurisdiction transferred to the Supreme Court. As was usual, the British authorities insisted that provision be made for Stewart and he was offered a vacancy in the Supreme Court. But since his precedence was not to date back to his appointment as master of the rolls, the always proud Stewart accepted instead a pension smaller than the salary of a Supreme Court judge. Learning that he might be accorded some honour by the British government for his services, the Liberal Executive Council – still possessed of an intense dislike for Stewart – protested that other public men had much stronger claims than he. Nonetheless, he was invested with the cb at Buckingham Palace on 22 Feb. 1856. Stewart argued that in abolishing the Court of Chancery the legislature had not grasped the basis on which the fusion of law and equity could be effected, and that the result was a muddle in the administration of justice. But when the legislature restored a form of equity jurisdiction in the Supreme Court in 1864, it was partly to provide a place for the Conservative leader and premier, J. W. Johnston, and Stewart was not asked to resume his former function. He did, however, preside over the occasional cases in the Court of Vice-Admiralty until his death. Able, formidable in debate, and vigorous in his own defence, Alexander Stewart attained high office and yet remained something of a tragic figure. Whiggish in political sentiment and more liberal in many respects than some Reformers, he came to be regarded as the most implacable of Tories. Altogether inflexible, he bluntly rejected the idea of responsible government in a colony. Insensitive to the reaction of others, he created the impression of having traitorously abandoned his earlier political views. The outcome was to make him one of the most detested of all Nova Scotian politicians. PANS, Vertical mss file, “The Stewart family of Halifax and Amherst, N.S.,” comp. C. St C. Stayner. Beck, Government of N.S., 32–34, 134–31. C. J. Townshend, “Life of Honorable Alexander Stewart, C.B.,” N.S. Hist. Soc., Coll., XV (1911), 1–114. J. Murray Beck, “STEWART, ALEXANDER,” in Dictionary of Canadian Biography, vol. 9, University of Toronto/Université Laval, 2003–, accessed April 21, 2019, http://www.biographi.ca/en/bio/stewart_alexander_9E.html.